Few musicians have embodied the spirit of New Orleans music as long a Cyril Neville. While brother Art redefined funk with the Meters, Aaron captured our hearts with his soaring voice and Charles kept us from forgetting the city’s jazz heritage, Cyril laid down percussive rhythms on several classic Meter recordings before branching off with his own group, Soul Machine. When the Meters disbanded, the four brothers coalesced into the Neville Brothers Band, gaining international fame for music that mixed all of their individual strengths into one potent package. Hurricane Katrina scattered the brothers across the country. Cyril found a like-minded spirit in Tab Benoit and joined the Voices of the Wetlands band, where his commitment to social activism fit right in. Next, he formed the blues/rock super group, Royal Southern Brotherhood, with guitarists Devon Allman and Mike Zito. No matter what project he is involved in, Neville’s contributions always come wrapped up in the fiery intensity of a man who wants to right the wrongs of the world. You can hear that intensity on tracks like “Still Going Down Today”, which tackles the issue of equality, and “Money and Oil”, a guitar-driven rant about big business with Mike Zito sitting in on guitar and Norman Caesar on keyboards. The funky backbeat created by “Mean Willie Green on drums and Carl Dufrene on bass serve as a counterpoint to Neville’s indictment about the plight of the common man on “Invisible”. As he does throughout the disc, guitarist Cranston Clements fires off blistering guitar runs that help drive the point home. Zito is back for a rousing cover of the Rush classic, “Working Man” as Neville reaffirms his concern for those still struggling to get by. Walter Trout makes an appearance on “Running Water”, a sturdy rocker he co-wrote with Neville. “Swamp Funk” is a rollicking tribute to the music from Louisiana, where the sounds of the swamp mixed with the intricate melodies of the big city. Neville gets the help from the reigning kings of the New Orleans keyboard style – Allen Toussaint on piano and Dr. John on organ. “Something’s Got a Hold on Me” does a slow burn until Cranston unleashes several gut-busting solos that send the track into Led Zeppelin territory. “Magic Honey” is a swirling musical gumbo seasoned with a strong dose of New Orleans funk as Neville brags about the special love he gets from his “queen bee”. He transforms the lighter, Caribbean-style rhythm on “Another Man” into a brooding admonishment of a cheating woman. Neville drives the message home with gusto on “Blues is the Truth”, then closes the disc with an elastic reggae rhythm on “Slow Motion”, celebrating love, sun and water. 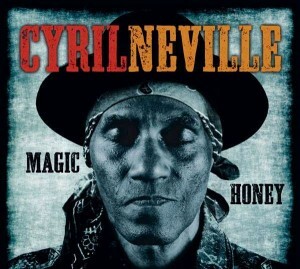 Cyril Neville is at the top of his game throughout this recording. 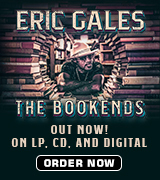 He is in command through all of the shifting musical styles and line-up of special guests. Whether he is raising his voice against injustice or simply relating the facts of life, Neville makes you listen – and care. 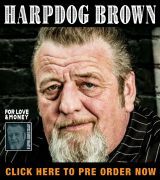 It’s not all blues but it certainly is damn fine music that comes highly recommended!